Want to know the top invoicing software for small business? Read our Housecall Pro alternatives guide. Users who gave Housecall Pro positive feedback mentioned that the system is easy to learn and use. They particularly like the feature that lets them view which invoices are paid and which ones are due — enabling them to stay on top of their billings. Great customer support was also cited. 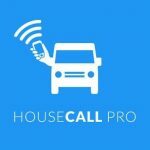 Housecall Pro doesn’t have a lot of negative reviews online. However, users who gave negative reviews said that some of the desktop features are not accessible when using the mobile app — which can be quite inconvenient when they are on the field. Housecall Pro has mid-range pricing that ranges between $39 per month up to $249 per month when users pay monthly. Users can save between $10 – $50 when they pay annually (depending on the plan). The main differences between each plan are the number of users, integrations, and the level of customer support. Check out the list below of some of Housecall Pro’s features. There was no mention of a free trial on the company website. However, interested users can contact sales support to request for a free demo and know more about the product. What industries does Housecall Pro support? Housecall Pro caters to many industries such as garage door, carpet cleaning, home cleaning, plumbing, electrical, window cleaning, and more. This video provides an overview on how Housecall Pro integrates with QuickBooks Online. Not sure if Housecall Pro is the right fit for you? Read our reviews of all top invoicing software or check out one of these three Housecall Pro alternatives. HouseCall Pro. Its initial version is free to use, so there was no problem in trying it. It has been everything I had hoped for and more. After about a couple of months of using the free version, I was amazed. Customer information, price list, employee tracking, invoicing with QuickBooks and CC processing have gone very well. Sure, there have been some bumps in the way, but small problems that have been solved quickly (usually, the easy chat feature) by your support team. They sell the heck out of you. Beware what’s behind the smiling voices. Housecall Pro’s rating system will not allow you to choose a “Poor” rating using the star system, a telling sign. I was not told at the outset that Housecall Pro had a basic plan of $39.00. It is obviously more important to get a customers money than give them a quality service that is useful. Be careful: if the product is not useful to your business they will not refund the activation fee. We are one of the largest private residential service providers in the Washington metropolitan area. Cleaning is something that I think anyone can do but what we offer is far beyond that. We are a responsible, responsive and reliable company that no one can match. One of the things we were having problems with was automating our communications and scheduling with our customers as well as all the double entry daily task. Now Housecall Pro fix that issue for us. I believe that investing in Housecall Pro was a very smart decision for us. They have everything any service business needs. The one thing I love the most other than their support via chat is the constant upgrades they make to enhance our productivity. Thank you Housecall Pro! It is extremely easy to use and the settings between administration and in the field workers is very nice. If you have an employee creating the time cards for payroll. They have to be put as administration . The system is very east to use and works great out in the field. I wish all of the desktop features were available on the app for in the field use. You can however use your browser to access the desktop feature in the field, I just think that if administrators had that access in the app it would be that much better. Nothing really, everything I needed to know was described to me in detail prior to purchase.